One of the Apple Watch Series 4’s standout features is the ability to detect that a wearer could have a case of atrial fibrillation (AFib), a common irregular heartbeat that can ultimately lead to a stroke or other heart illnesses if left unchecked. Turns out, however, that the Series 4 may not be the only Apple Watch that can do so — a large Apple-sponsored study found that previous versions of the device could detect atrial fibrillation 34 percent of the time — a number that drastically increased for certain subsets of participants. The study itself was led by Stanford University researchers, but is currently unpublished and not yet peer-reviewed. The study began in November 2017, which is before the Apple Watch Series 4 was released, and partly why the Series 4 wasn’t included in the study. The Series 4 has new sensors that allow it to detect AFib — namely, it includes an electrocardiograph (ECG) feature, which helps in monitoring heart activity. Thirty-four percent may sound low, but the fact is that it’s still likely to help people who are unaware that they have AFib get checked out — which could ultimately save lives. More than 2,000 participants in the study got a notification on their watch telling them that they may have AFib — the vast majority of which were aged 65 or older. After being notified by their watch, they received an ECG patch, which was worn for a week to determine whether or not the participant did indeed have AFib. As noted in a report from CNBC, however, it’s possible that the Watch was correct far more than 34 percent of the time; AFib can occur sporadically and may not occur for weeks at a time. Because of that, someone who may have experienced AFib with their Apple Watch on may not have experienced it during the follow-up week with the ECG patch on. 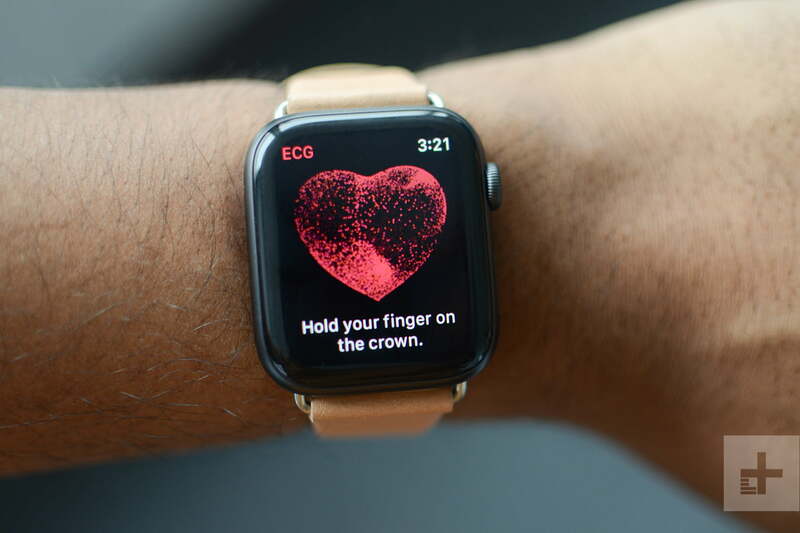 In a smaller subset of participants that wore both the Apple Watch and an ECG patch at the same time, the likelihood that the Apple Watch could correctly identify AFib increased to 84 percent. The study could, however, signal a shift for medicine overall. Around 419,000 people participated in the study, all through their Apple devices, and all within a relatively short period of time. The fact that so many participants can enroll in such studies digitally could ultimately help doctors better understand illnesses, and help devices like the Apple Watch better track and detect them.